KCR Products' specialty tools offers a full set of coaxial connector sockets for SMA electrical connectors. KCR PRODUCTS has the solution for this problem with its special COAXIAL CONNECTOR SOCKET. The SOCKET fits between connector nuts allowing a technician to properly torque each connector in these limited access areas. 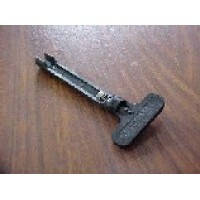 Made of die-cast high strength composite, it is the precise shape and size to perform this exacting job (Patented). The wrench has been modified with a 1/8 inch counter bore around the hex socket to clear a bulkhead fitting. 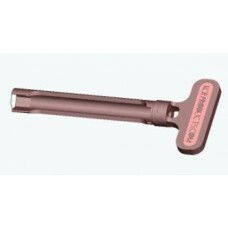 KCR Products Torque Wrench Part Number KCR-2188S-3.5, upc 7 53182 07021 6 KCR Products' specialty to..